Yesterday I noticed some of the twitter crowd marveling at the size of the Giant African Snail. I couldn't let this wimpy pest of a snail be marveled at without showing my readers how big some snails get. 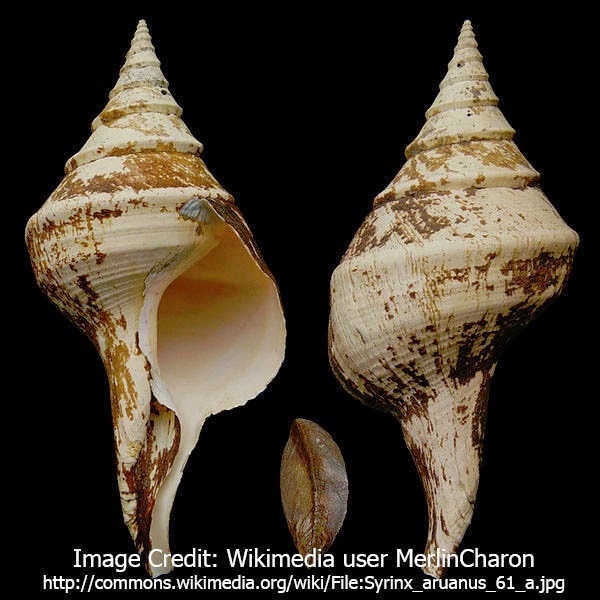 Syrinx aruanus, commonly known as the Australian trumpet can grow up to 91 cm long with a 7 7cm shell and 18 kg in weight. I am reluctant to give it any such a title as the largest snail in the world as first you would have to define what a snail is. 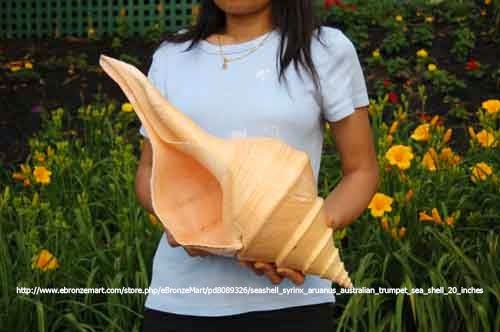 They are the largest living shelled gastropod in the world and probably heavier than any non shelled gastropod, but not the longest as we will find out later. The Australian trumpet feeds on large worms which live under the ocean benthos. They have a long proboscis which they use for finding and sucking up their prey. Living specimens are rare sightings and the shells are highly sort after collectors items and hard to find. Syrinx aruanus is endemic to the Torres strait (between Northern Australia and New Guinea).